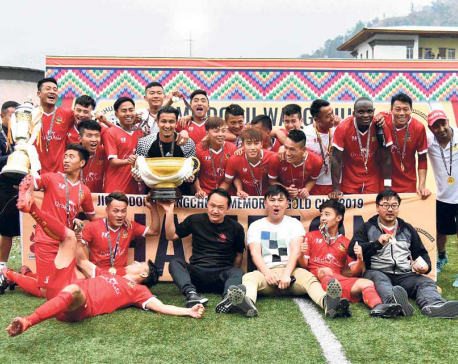 KATHMANDU, Nov 1: Manang Marsyangdi Club has reached the final of the Governor’s Cup football tournament underway in Sikkim, India. In the semi-final match held at the Palchor stadium of Gangtok today, MMC defeated ATK Club, Kolkotta, India by 6-2. Dona Thapa scored a hattrick while Anjan Bista, Sujal Shrestha and Bimal Basnet scored one each for Manang. 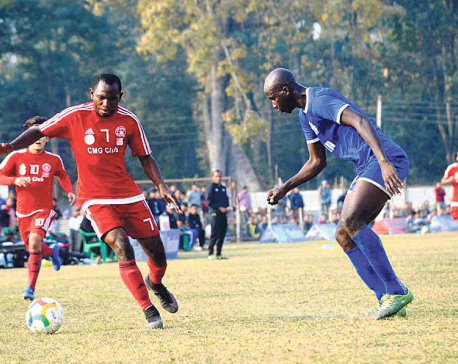 Armed Police Force (APF) team that had also competed in the tournament was defeated in the first match itself. Manang however got a first entry to the quarter-finals of the tournament. MMC defeated Kolkatta Customs of India 4-2 to reach the semi-final.